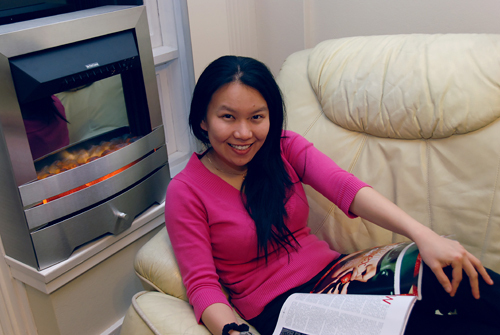 As weather is getting colder by days, we bought this new heater.. It could make flame effect 🙂 beautifuL! 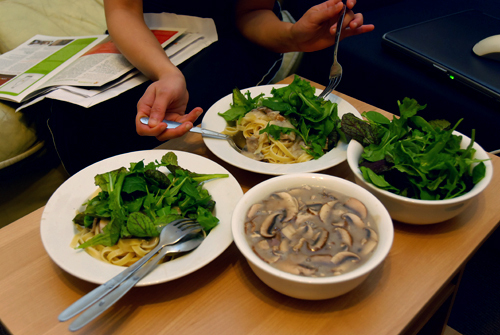 And also our dinner.. prepared carbonara spaghetti with yummy campbells mushroom soup + lotsa green leaves (rocket salad mix)..